So pretty! A friend wrote a book a couple of years ago that I like to gift (le Coeur n’a pas de rides, or the Heart Knows No Age–true stories about love late in life, by Marina Rozenman), and these would add another special touch. Plus I have quite a few earrings whose mates I still hope to find. This would be a good way to make peace with them. Such a clever idea and so pretty! Gorgeous bookmarks. There is something about dusty pink velvet that is amazing. Happy mother’s day! Aw, these bookmarks are very pretty and would make such a perfect gift for someone who loves to read. Pinned to share. Thanks for sharing your post with us this week for Brag About It! These are beautiful. I am pinning these to my craft board…only because I don’t have a “beautiful gifts” board! I forget about bookmarks, and you are right, that is a lovely way to personalize the gift of a book. I still enjoy reading actual books, not on tablets! Thank you so much for sharing over at Celebrate Your Story! link party at Celebrate and Decorate. I hope we see you again next Monday at 8:00 PM. I love this idea. So clever in repurposing for a thoughtful and pretty gift! What a beautiful gift and Happy Mother’s Day! I love your cute bookmarks. I have until May 22 to make gifts for 5 family members for a special outing for high tea in Beverly Hills. Everyone is a reader so these might just be in my future. What a nice ideal And a special gift. 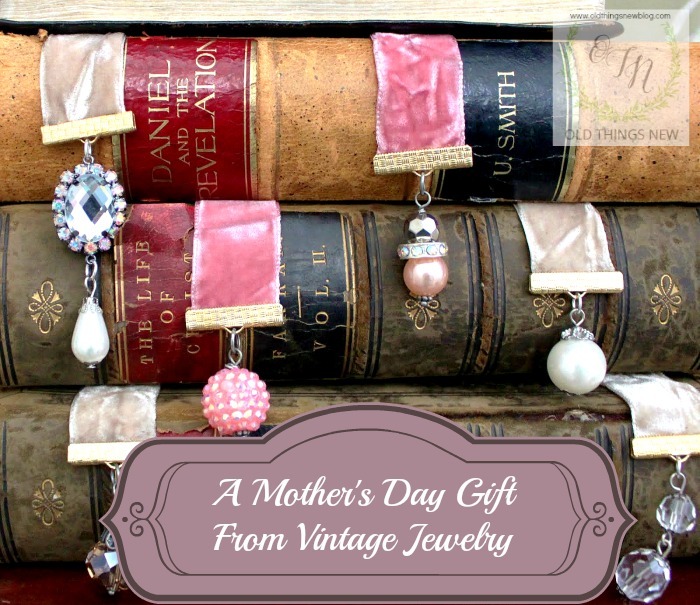 These Bookmarks look really special and I love the idea of making them vintage! I love to read and this would be a lovely gift to give and receive! Thank you for sharing at Sweet Inspiration #5! Have a lovely Weekend! So pretty Patti. I will feature tomorrow at Home Sweet Home!